We have just brought in some great new California wines from the Salinas Valley in Monterey County and Paso Robles in San Luis Obispo County. 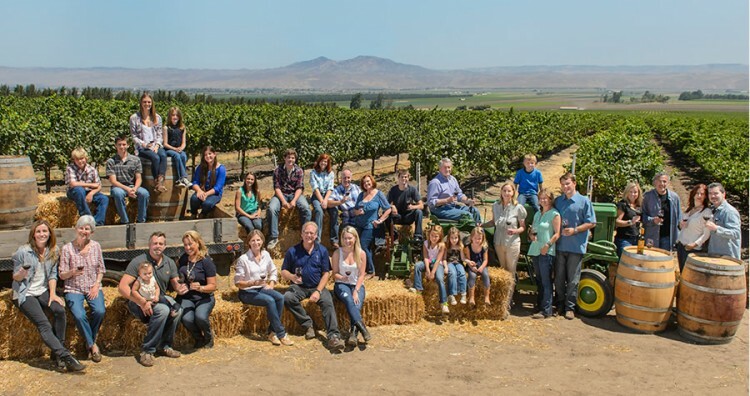 Ranch 32 and James Bryant Hill wines come from a family-owned winery in Greenfield, Ca. The winery is a state-of-the-art facility and the vineyards are meticulously worked by a great team assembled by the Scheid family. You may not have heard of these wines or the Scheid family, but I guarantee you will know them in the future as they are a wine producer on the rise. We are offering the wines at a very nice Rewards Member price for the rest of the year! Come in and get to know these wines as I am sure they will become some of your favorites. The 2016 Pinot Noir delivers delicate aromas of cherries, raspberries, and currants with notes of mocha and vanilla from aging with French oak. It is medium-bodied and velvety with soft tannins and a long elegant finish. Bright, crisp and balanced, the 2016 Chardonnay delivers pear, citrus, tropical fruit and toasted vanilla beans on the nose. On the palate, it is rich and concentrated with notes of pineapple, butterscotch, and minerality. This is a fun and interesting California Merlot. It is a blend of fruit from the Paso Robles area with a serious dollop of Salinas Valley, colder site grown grapes to give it a Right Bank Bordeaux flair. What that means is it has some nice ripe berry flavors along with some savory herb with a hint of black olive. This is really delivering quality beyond its price point.